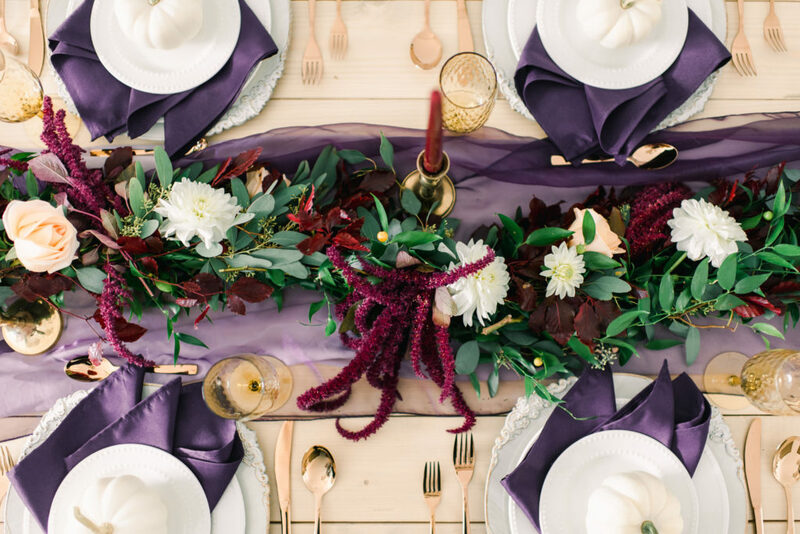 While many brides and grooms choose to say get married during the summer season, this dreamy tablescape may make you want to say “I do” to a fall wedding instead! 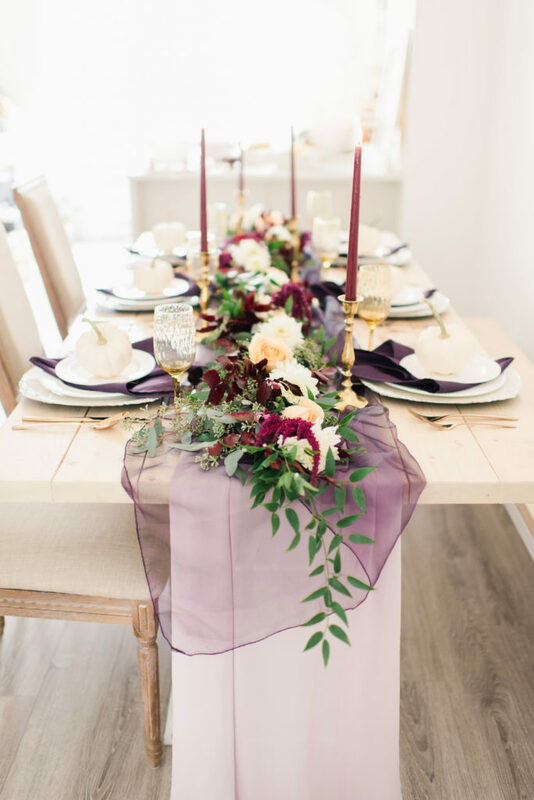 We started with a custom industrial table as our canvas and styled it with a colour palette of plum, burgundy, amber, and rose gold. 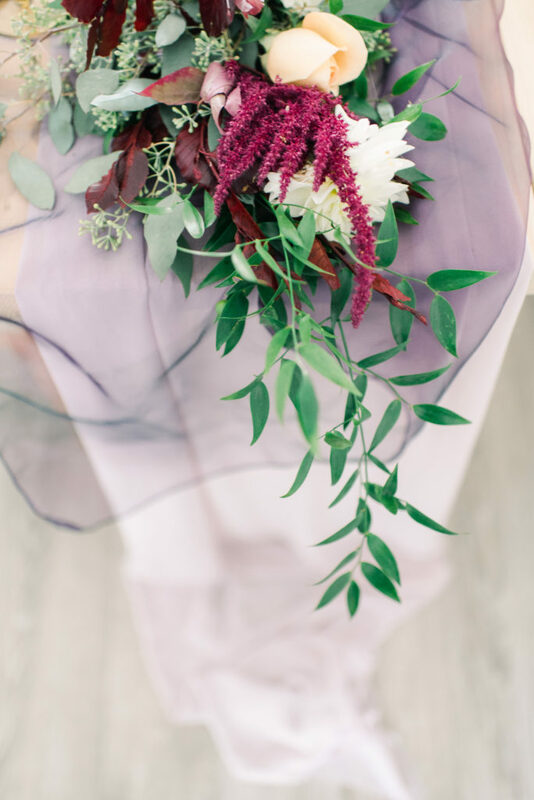 Westgate Flower Garden made us the most beautiful lush flower garland. 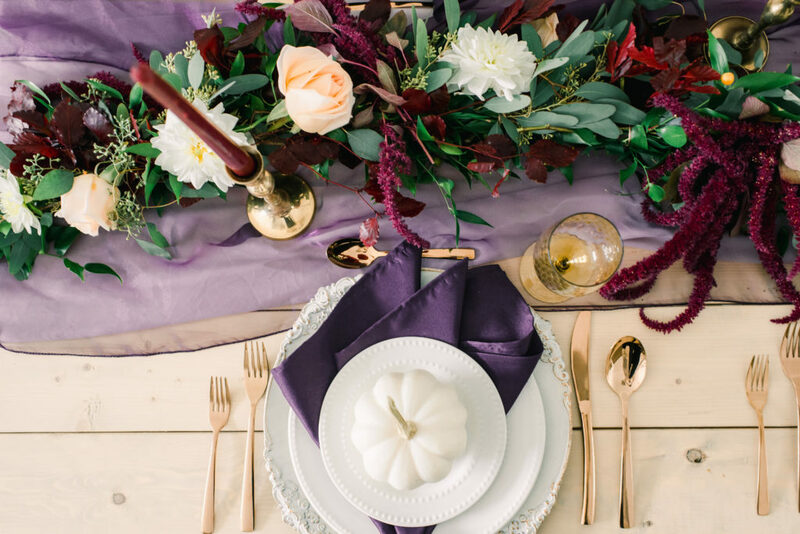 At each place setting we used vintage antique white plate chargers, plum napkins, amber goblets, and rose gold cutlery provided by Pretty Things Rentals. 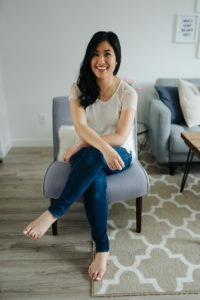 Who says pumpkins are only for Halloween? 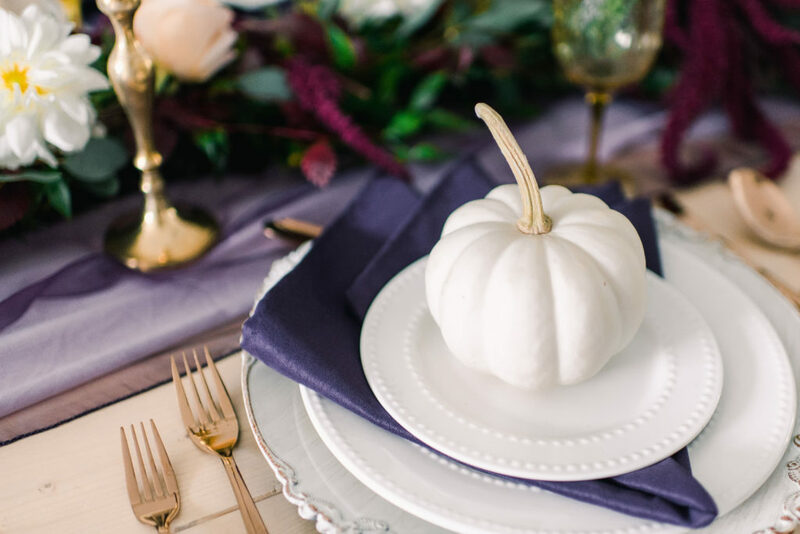 We decorated each place setting with white casper pumpkins. 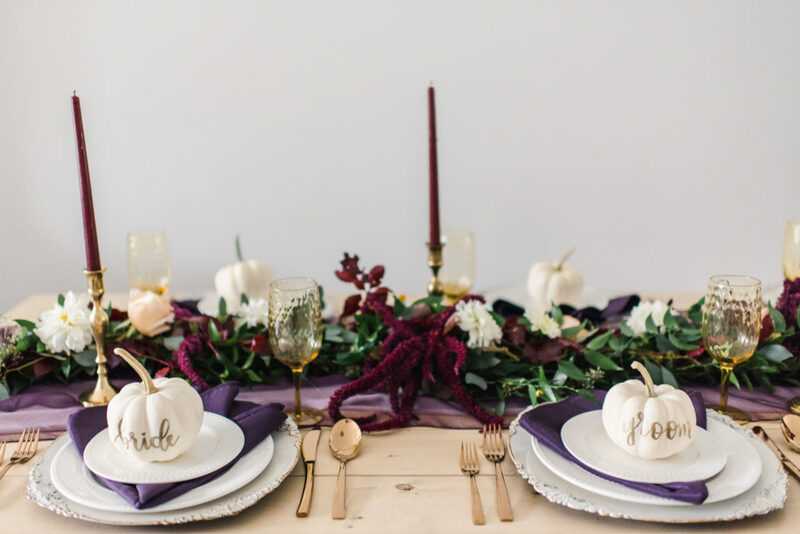 Add some hand lettering and the white mini pumpkins can even double as place cards for your wedding guests. 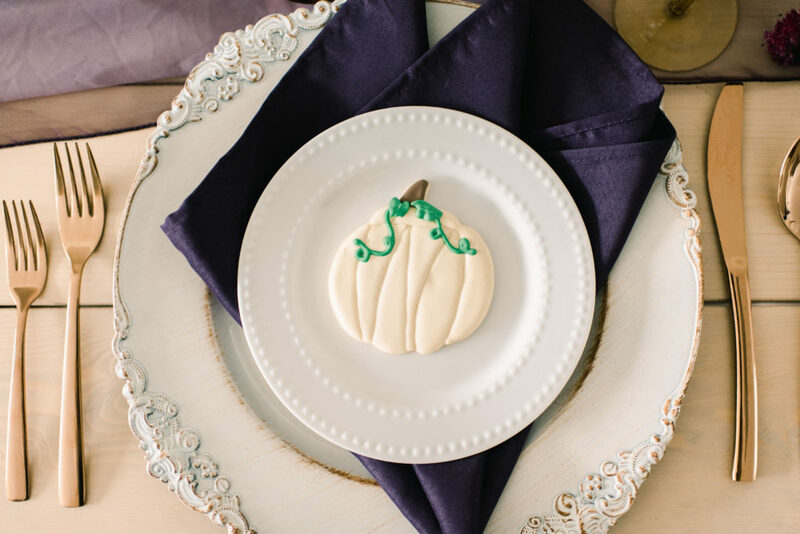 This elegant hand decorated pumpkin cookie would make a perfect favour for your guests. 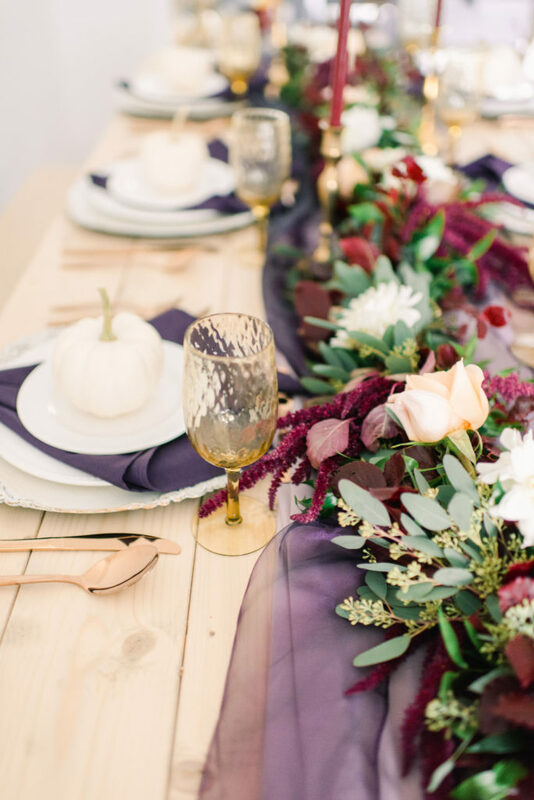 I love how this fall inspired wedding tablescape came together!